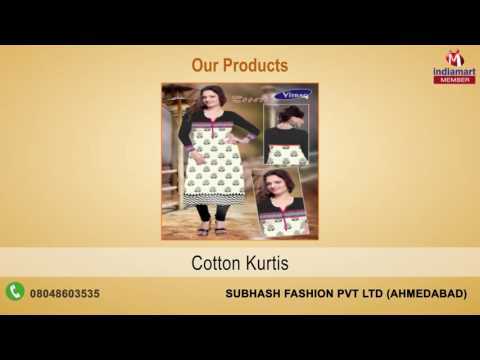 Established in the year 2000, "Subhash Fashion Pvt Ltd (formely Known As Vitrag Fashion Pvt. Ltd)" is leading Manufacturer, Supplier and Wholesaler of Punjabi and Anarkali Suits such as Printed Ladies Suit, Cotton Anarkali Suit, Anarkali Salwar Kameez and Ladies Salwar Suits. We provide catalogue for reference of our product. New and trendy designs are available in every catalogue. Our highly reliable and speedy transportation facilities ensure the timely delivery of our assignments,there by giving us a cutting edge over our competitors.